Day 2 started with my arriving at my hotel at around 8 AM. I mucked about and unpacked and then made myself go to the gym to get in 45 minutes of cardio. It wasn't pretty but I did the workout. I have always been a big believer in fighting off the nastiness and gluttony of a 16 hour flight with a painful sweat. My conscience clear and my body somewhat purified, I made my way from Kowloon to the Central Business District on Hong Kong Island where I was meeting the friend of a friend for lunch. He was a great guy, and it was fascinating to hear about how the city has changed from the perspective of a fourth generation Hong Kong denizen. After lunch, I headed back in the rain and the wind, which not only made me wet, but also made a striking cityscape. The combination of rain and fog gave this incredibly busy city a strange dreamlike state that I found to be incredibly peaceful. Given the rain, I was looking for a suitable indoor activity, and I chose the Hong Kong Museum of Art. Being by myself while wandering about a city is intrinsically introspective, and I find that art nicely adds to this state of mind. HKMA is a good size museum that has a number of interesting exhibits going on, notably including a big contemporary art "contest" celebrating local Hong Kong artists. I am a sucker for contemporary art, particularly pieces made out of random stuff, and all the better when accompanied by video and weird noises (in my next life, I plan to come back as a performance artist). A few pieces particularly struck my fancy and amusement. 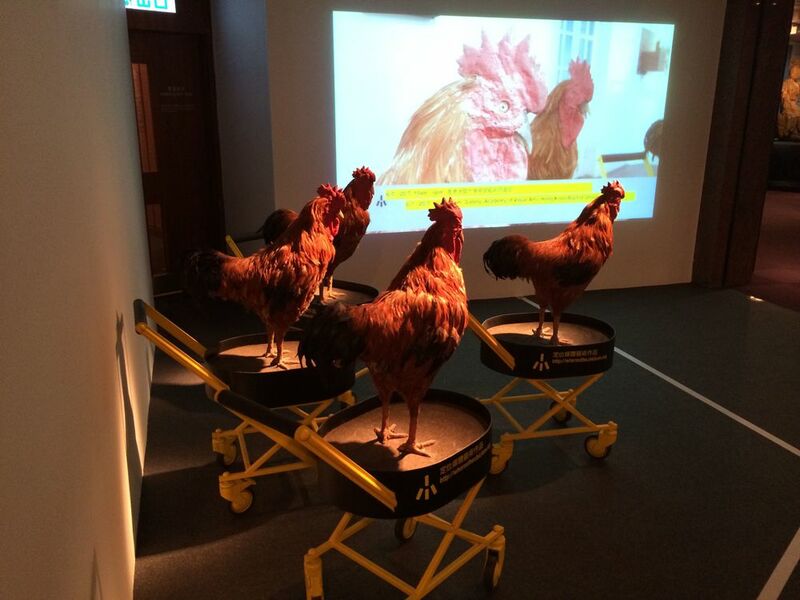 Next up was a piece with a utopian vision of obedient chickens who would not be a threat for spreading bird flu. Who wouldn't want more obedient chickens -- enough of this free range stuff. 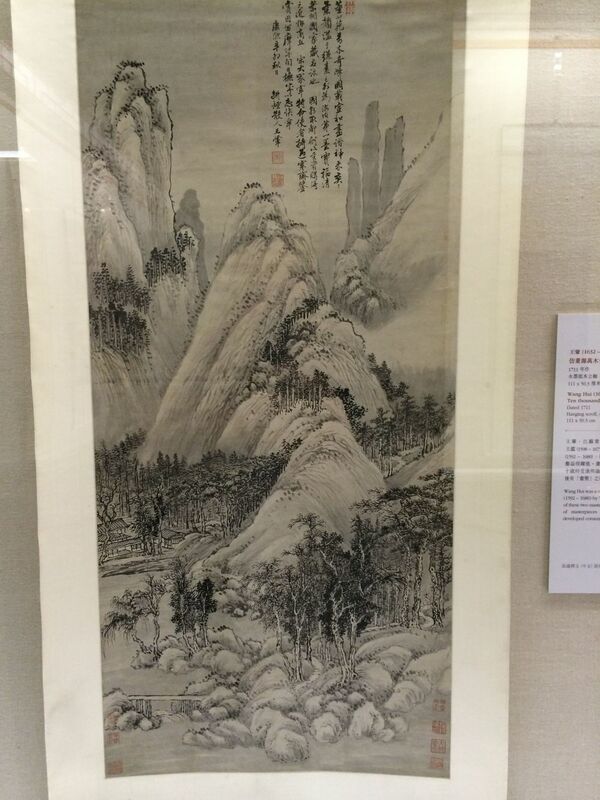 Finally, they had a nice collection of Ming-dynasty rural drawings. I've always loved these scenes, in which little houses are tucked into majestic and lush Chinese rural landscapes. Peaceful and zen and perfect for my rainy day contemplative state.